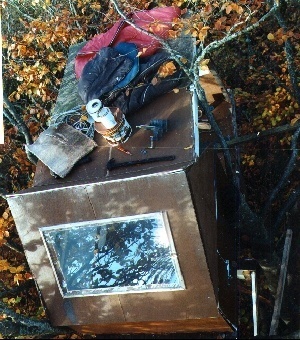 Anyone who is in the process of building their own treehouse can use this forum to document the project and get suggestions from other visitors for different aspects of the design. This category is mainly for ongoing projects or accounts of your build. If you have a finished treehouse you can also add it here or to the world treehouse list. To start your build story, log in and click 'New Discussion'. Choose the category 'Build stories' from the dropdown list. Enter a descriptive title, eg "Treehouse made from recycled materials 64' up beech tree". Enter the story of your build so far (or of a major section of the build). Images can be easily added by clicking 'Attach a file' below the main message window. Come back as the build progresses and update the story. 6. Later updates of your build can be left as a comment below the first entry, like this. maybe it's because I'm on a mac? The only buttons are 'post comment' and 'save draft'..
Attaching images is now only available to forum members after approval, to help counter image spam. Once you are a member you should see 'Attach a file' below the comment box.